Sharing the stage with opposition leaders in Kolkata on January 19, Sinha called for changing the government in the upcoming Lok Sabha elections. 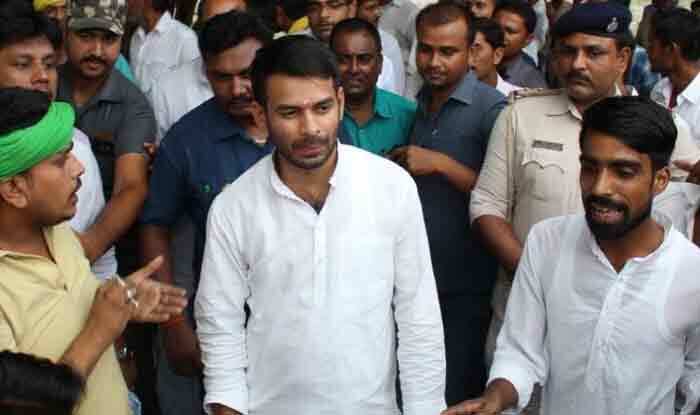 Patna: Days after disgruntled BJP Shatrughan Sinha attended the TMC-led united opposition rally against the Narendra Modi government in Kolkata, RJD leader Tej Pratrap Yadav on Tuesday invited the former him to join his party. “I talk to Shatrughan Sinha from time to time, I have also been to his place in Mumbai. I am still inviting him. Janta Darbar mein aa jaaein hamare,” he told reporters in Patna. Yadav’s statement came a day after he said that Sinha would be welcomed if he wanted to come to the party. Sharing the stage with opposition leaders in Kolkata on January 19, Sinha called for changing the government in the upcoming Lok Sabha elections and said that he was not afraid of being removed from the ruling party. He insisted he would continue to “show mirror” to the party and call “a spade a spade”. Irked over his presence at the opposition rally, the BJP had said it would take cognisance of Sinha. He even said he was attending the rally hosted by TMC chief Mamata Banerjee in Kolkata as a representative of the Rashtra Manch, a political action group launched by former BJP leader Yashwant Sinha. Terming the actor-turned-politician an ‘opportunist’, BJP’s national spokesperson Rajiv Pratap Rudy said he was in the party to enjoy the perks of being an MP, but at the same time seen making different voices at various platforms. Sinha has been regularly speaking against the BJP’s top leadership which provoked Bihar’s Deputy Chief Minister Sushil Kumar Modi earlier this month, who suggested that Sinha should quit the party.